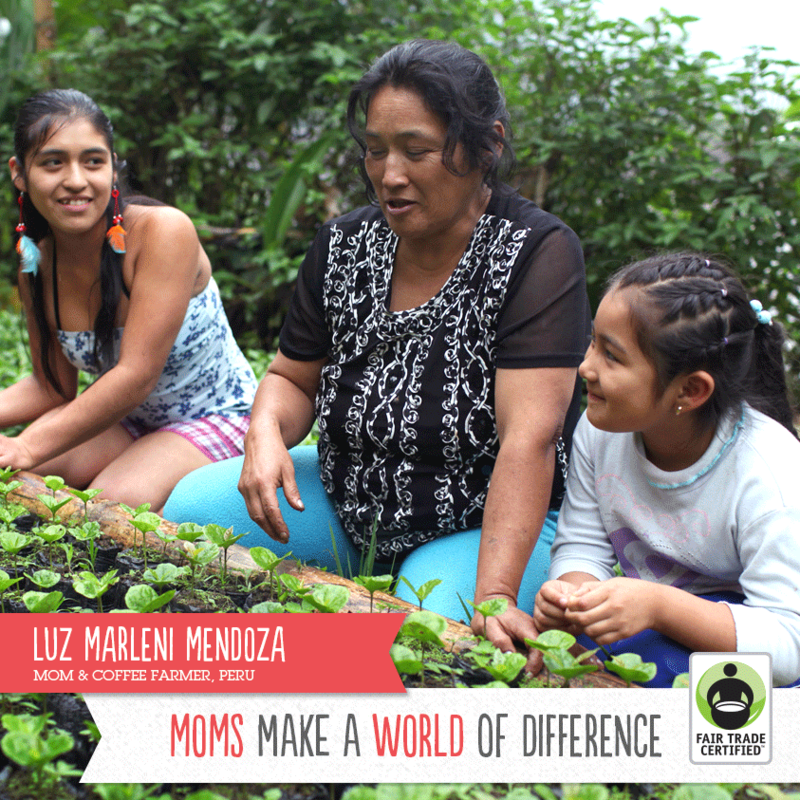 April 27, 2015 /3BL Media/ - Celebrating Mother’s Day this year can be made even more meaningful when shoppers honor mothers from around the world through their Fair Trade purchases. 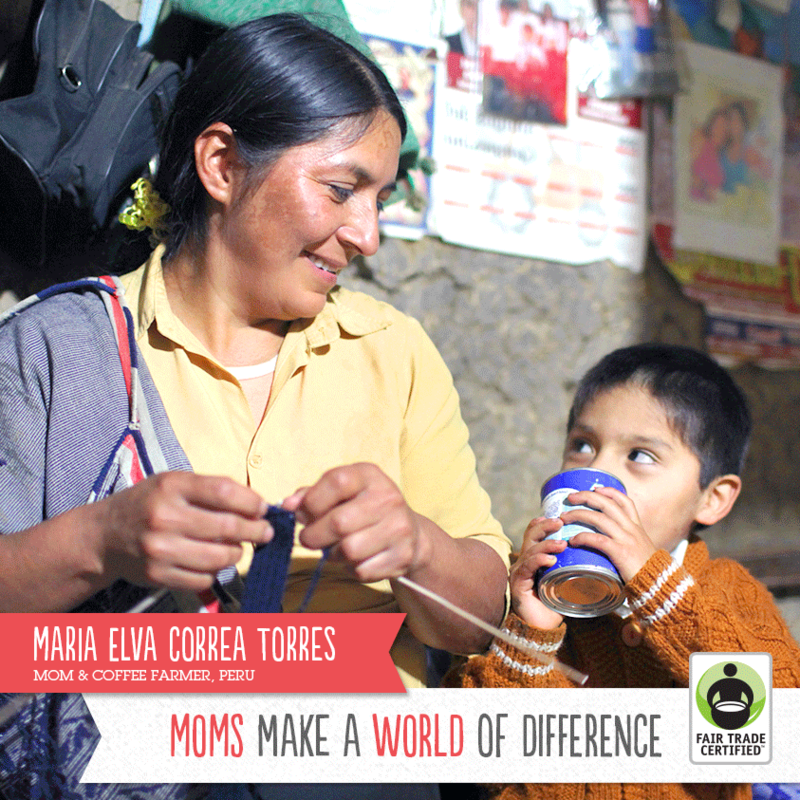 Promoting the many ways that Fair Trade benefits mothers, Fair Trade USA, a nonprofit and the leading third-party certifier of Fair Trade products, today launched a new campaign, Moms Make a World of Difference. 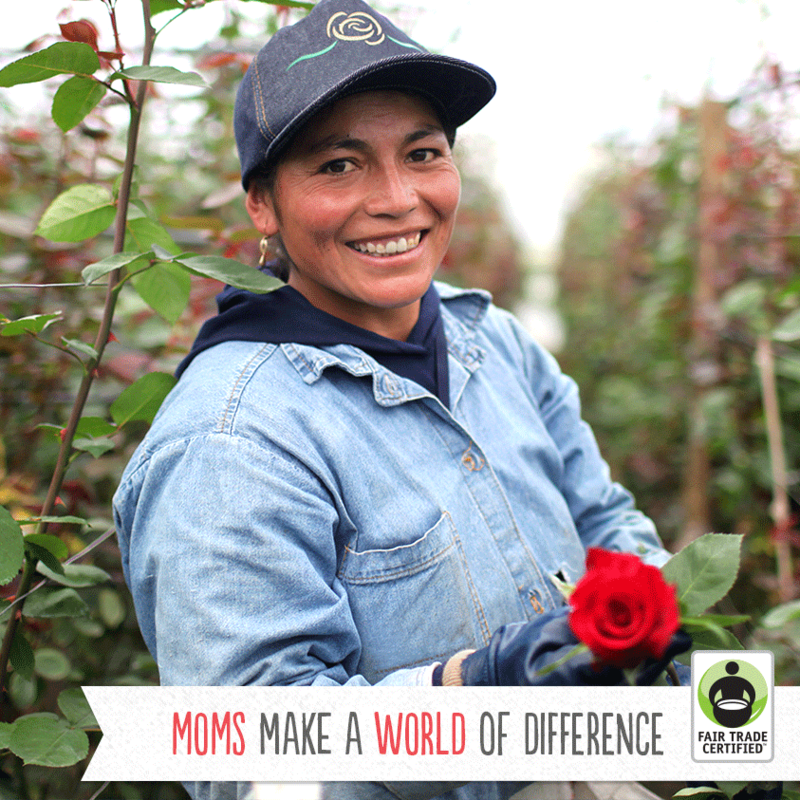 In honor of Mother’s Day, which falls on the same weekend as World Fair Trade Day (May 9-10), Fair Trade USA encourages families to share the love by giving Fair Trade gifts like roses or clothing, and cooking or baking with ingredients that feature the Fair Trade Certified label. This label helps ensure that the farmers and workers who made the products worked in safe conditions, protected the environment, and earn Community Development Premiums to reinvest back into their communities. 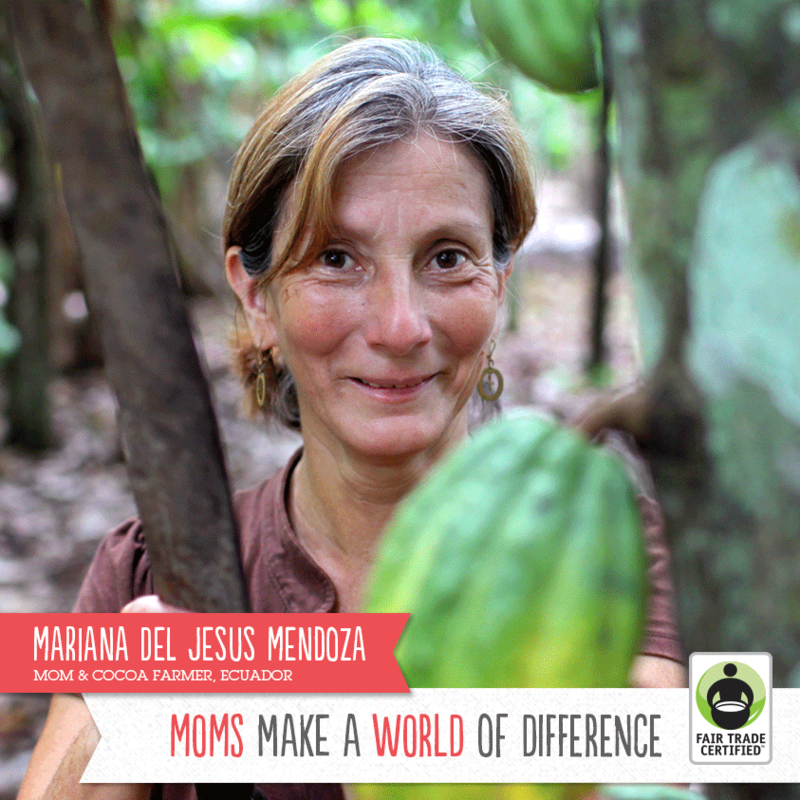 The campaign highlights five mothers who represent the women who grow and harvest Fair Trade Certified coffee, tea, chocolate, coconut, bananas and roses. The featured mothers include Guadalupe Intriago Mera of Ecuador, who serves as the regional president of her cocoa cooperative while educating the community about Fair Trade benefits, and Mukantelina Soline of Rwanda, who grows and sells coffee while supporting her three children. “Growing coffee is hard work, but being a member of the cooperative gives me a support system and provides a strong sense of community. We’re all working together,” says Mukantalina Soline, mother and Fair Trade coffee grower, Rwanda. 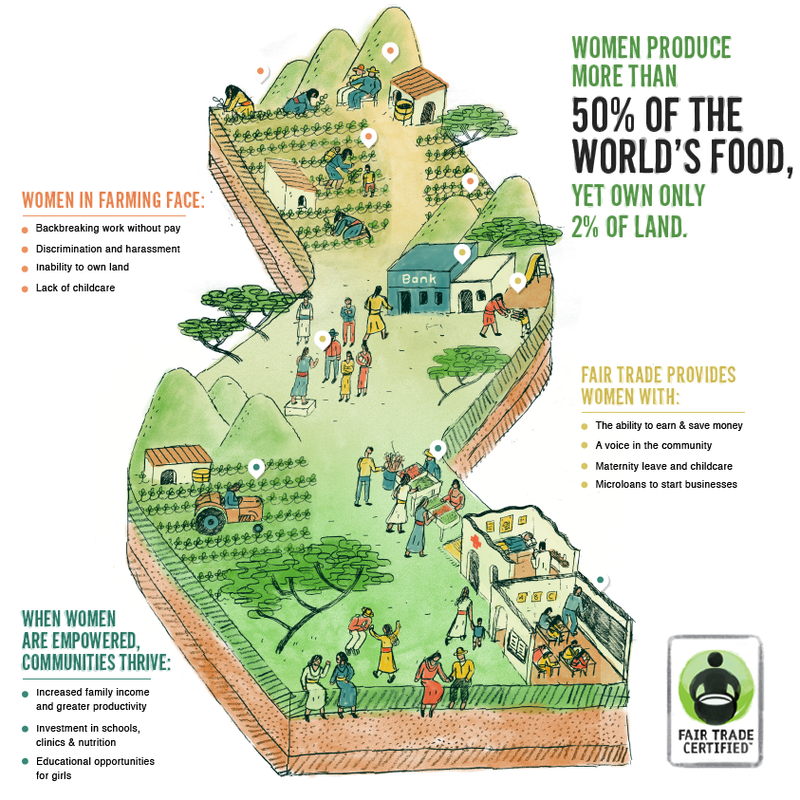 View a new infographic that explains how Fair Trade empowers women around the world. Share their well wishes with the mothers by signing the World’s Largest Virtual Mother’s Day Card. Browse the stories and photos from tea, cocoa, coconut, coffee and rose farmers. Browse a collection of delicious recipes featuring Fair Trade Certified ingredients to make a special brunch for mom. Many of these recipes were contributed by well-known bloggers as part of the first-ever Fair Trade Brunch Recipe Contest on Pinterest. Find a meaningful Mother’s Day gift in The Ultimate Fair Trade Mother’s Day Gift Guide. For those avid Twitter users, Fair Trade USA is hosting a Twitter party in partnership with brands like prAna, Heifer International, Kiva, DAVIDsTEA, and UNREAL on May 5th from 5-6pm PDT to discuss and share the easy ways you can Fair Trade your Mother’s Day. By tweeting and using the hashtag #FairMoms, participants can be entered to win a variety of Fair Trade gifts. Economic Empowerment: Women are paid fairly and directly for their labor, not through an intermediary such as their husband or brother. Fair Trade premiums have also been used to fund micro-loans for women to start their own businesses. Education: Fair Trade promotes equal access to adult education for women and men, and supports initiatives to close the gap between boys’ and girls’ school enrollment and completion levels. Health & Safety: Fair Trade standards promote health and safety for women, including requiring maternity leave on full pay; prohibiting any work that causes a health hazard during pregnancy or while nursing; and prohibiting sexual harassment. Note: Mother’s Day graphics and photos are available for use in articles and blog posts. 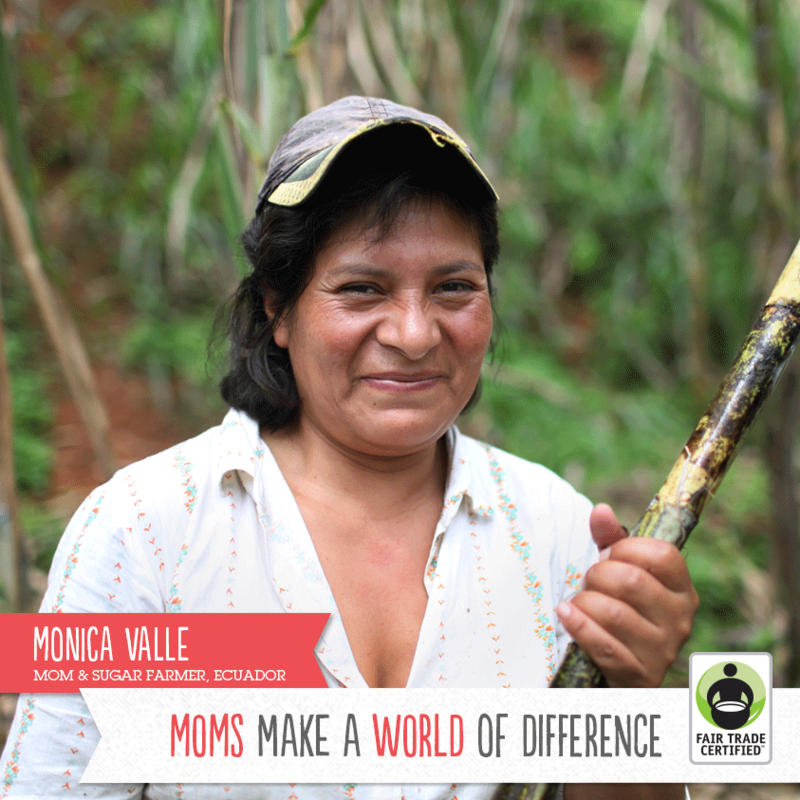 They can be downloaded here: http://fairtradeusa.org/resources/campaigns/mothers-day. Fair Trade USA, a nonprofit organization, is the leading third-party certifier of Fair Trade products in North America. Fair Trade USA audits and certifies transactions between companies and their international suppliers to ensure that farmers and workers were paid fair prices and wages, work in safe conditions, protect the environment, and receive community development funds to empower and improve their communities. Fair Trade USA also educates consumers, brings new manufacturers and retailers into the Fair Trade system, and provides farming communities with tools, training and resources they need to thrive as international businesspeople. Visit www.fairtradeusa.org for more information.